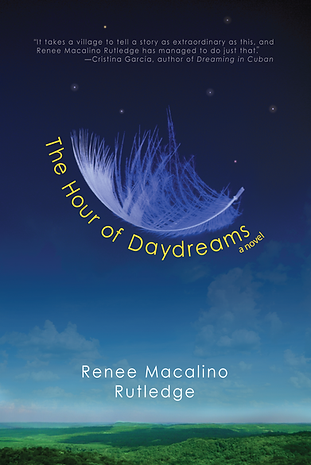 Renee Macalino Rutledge’s debut novel, The Hour of Daydreams, has been dubbed "essential reading" by Literary Mama and "one of 24 books to get excited for in 2017" by The Oregonian. Her stories and essays have been published in Mutha Magazine, The Tishman Review, Red Earth Review, Ford City Anthology, Oakland Magazine, ColorLines, Literary Hub, Necessary Fiction, Women Writers Women’s Books, and others, and is forthcoming in The Margins, Women of Color Anthology, and others. How did you come to write The Hour of Daydreams? I knew I wanted to write about my culture and roots. Filipino folktales interested me, not so much because of the tales themselves, but their journey, passed down orally through so many generations before being written down. Folktales are often retold with preservation in mind—keeping true to their original content and form. The version of “The Star Maidens” I read was as such, four pages long and predictable—a man steals a maiden’s wings, marries her, and in the end, she finds her wings and flies away. That story was a jumping point for me—a point of investigation and interaction to the story I wanted to tell, about marriage, secrets, identity, the way one family’s story can be passed down from one generation to the next. It was my way of interacting with the folktale and creating something completely new. The book takes place in the Philippines, where you were born but haven’t lived since you were a small child. Did you spend time there as an adult, or how did you come to feel comfortable enough to write about day to day life in the Philippines? I haven’t been back since I left at four. It was important to place my characters in the Philippine countryside, where the folktale is based, but I wanted to be able to write without getting too caught up in that discomfort, that of being a firsthand witness to my story, but a secondhand witness to the setting. So, I based my book in an imaginary town called Manlapaz. I did my research—read books by Filipinos about the Philippines, asked my family a lot of questions, looked up photos and articles online—but in the end, I relied on what I know from those formative years, what I feel and what I imagine. Your story “reimagines” a traditional Filipino folktale about a man stealing a maiden’s wings so he can marry her. Is this a well-known folktale? Is it a story you learned as a child? I didn’t learn any Filipino folktales as a child. My father talked to me once about mythological figures, Bathala and Malakas and Maganda, and they captured my imagination so vividly I’m not surprised they ended up in the book. I think my lack of knowledge about stories from my own culture was a reason writing this book was so important to me. Most people I’ve spoken to about The Hour of Daydreams, including Filipinos, are learning about "The Star Maidens" for the first time. I’m happy it’s generating interest in both traditional stories and modern Filipino literature, which are not novelties. The husband in your book is a doctor and your story describes many traditional Filipino healing practices as well as superstitions. How did you research the cultural information and detail found in your book? For some reason, I imagined the male protagonist in the folktale as the son of a tribal chief. I tried to think of a modern version of that, and a doctor came to mind. In my family, if you’re a doctor, you’ve reached the top. I know a few doctors personally, and they’ve become sort of like my personal on-call specialists, giving me advice on everything from my daughter’s eczema to my mom’s back pain. Combining that with my own personal history of going to the doctor and the anecdotes friends share, I was easily able to come up with the various scenarios Manolo was faced with on the job. There was one procedure, regarding a dislocated elbow, when I had to look up specific bones. Google really helped, not just to find information, but verify what I believed I knew to be true. 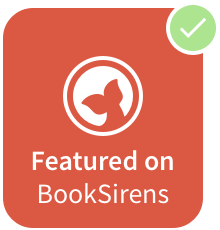 I’m a nonfiction book editor for a mid-sized indie press. My day job didn’t lead me to writing fiction. It supports me so that I can pay the rent while I write, which is something I’ve always done. The hour of daydreams is a specific time in the book when the character Andres shares stories with his granddaughter Malaya. It is also representative of a moment of time at a river, when the main characters, Tala and Manolo, bear witness to one another, and their memories begin to feel like dreams. So, the hour of daydreams is an hour of sharing and receiving story, interpreting what’s being told, reshaping it, preparing it for another retelling, when it will be born as something new. In that way, it is representative of the hours spent writing this book, and the hours shared between the book and the reader. The folktale provided a sort of framework, a beginning and an end. I recreated the scene at the river in the context of my story and characters. This meant giving them each a past and an interior world—it was a process of invention and discovery that fueled the writing process. I thought I’d do the same for the ending scene, when the star maiden flies away. This stifled my book for many years. Working toward a particular image or scene felt forced. I finally figured out that I could end the novel in any way I wanted to, and that’s when I connected it to that process of continual discovery I had started in the first half and was able to finish the book. “Write the story that you believe.” I was fortunate enough to have worked with Yiyun Li, who gave me that advice while I was working on the first draft of The Hour of Daydreams. Marguerite Duras, Toni Morrison, Italo Calvino, Yiyun Li, Haruki Murakami, there are too many. It’s hard to pick a favorite because I’ve only read some authors once, like Lysley Tenorio’s Monstress or William Trevor’s Love and Summer, but their books have come to be among my favorite. My writing is influenced by everything I read, particularly books that open me up to what’s possible on the page and show how every book can do something different. I also love books that I have an emotional connection to and expand my sense of compassion, such as Rene Denfeld’s The Enchanted, or that are brilliant with language and depth while being so much fun, like Michael Shum’s Queen of Spades, out next from Forest Avenue Press. I like to read literary fiction most and am currently reading The Book of Joan, by Lidia Yuknavitch, who I recently met at her amazing reading in Berkeley. I also read nonfiction, currently Seven Card Stud with Seven Manangs Wild and A Short History of the Philippines. You have a terrific website and Facebook page and are also on Twitter, Goodreads, and Instagram. From an author's perspective, how important are social networking sites and other internet resources to promote your book? Social media definitely got word out about the book to people I would not have reached otherwise, such as friends from high school who ended up coming out for my book launch. 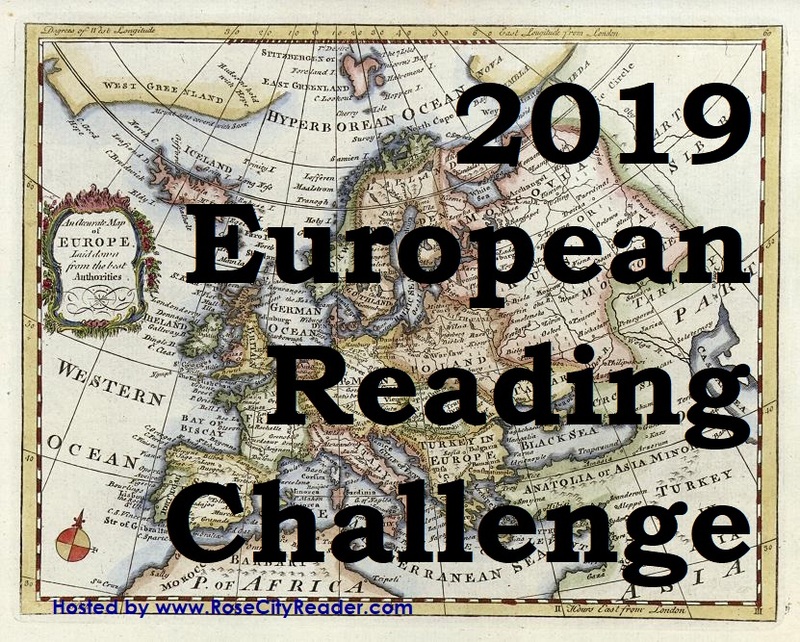 I love being connected to new people who share an interest in reading and writing. It’s been wonderful that way. There are two things I refuse to do as an author on social media. Apologize for promotion. Writers have it hard enough—writing a book for years with no guarantees, getting someone to publish you, and finally, trying to sell it. I believe books are vital and life-enriching and that writers in general are undervalued. Why undervalue ourselves with apologies? Announce a break. I believe having a writing tribe online is possible and that a tribe by nature should understand and encourage you to come and go freely and often, to energize, to seclude yourself when necessary, to write, to live. If you must announce a break from social media, you are probably on it too much. I tell my boss when I’m not coming in for work; I don’t encourage treating Facebook as you would your boss. 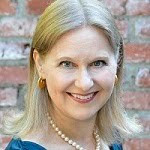 My next reading, sponsored by the American Association of University Women and the Alameda Author Series, will take place May 17, 2017 at Cardinal Point in Alameda. New events are posted on the events page of my website. I was up past midnight working on my latest short story, which I hope to be part of a collection. I’m also deep in research for my next novel. See the nonfiction reads above! THE HOUR OF DAYDREAMS IS AVAILABLE ONLINE OR ASK YOUR LOCAL BOOKSELLER TO ORDER IT!